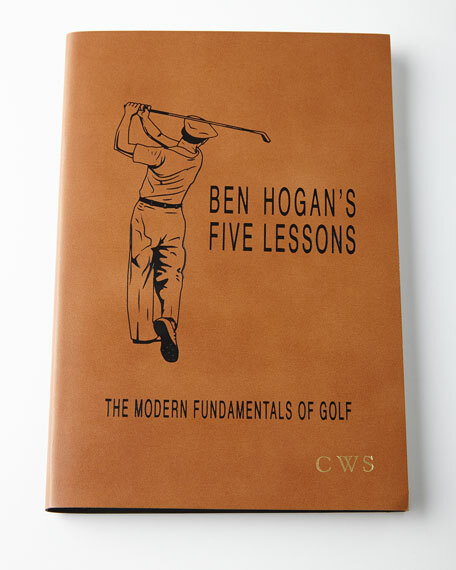 Outlines in five basic lessons the building blocks for improving your golf game from one of the all-time mastersBen Hogan. Each chapter explains a different experience-tested fundamental. 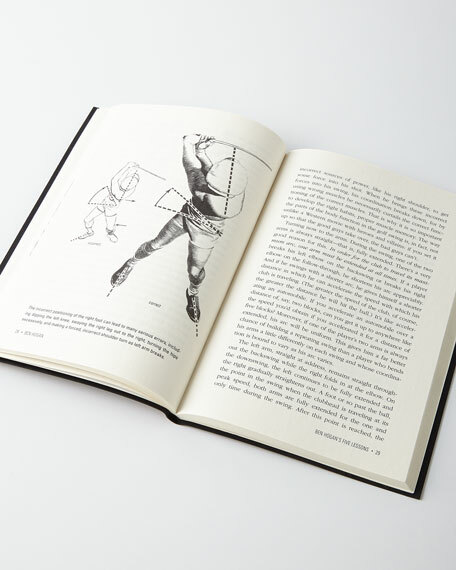 Fully illustrated with drawings and diagrams to improve your game instantly. 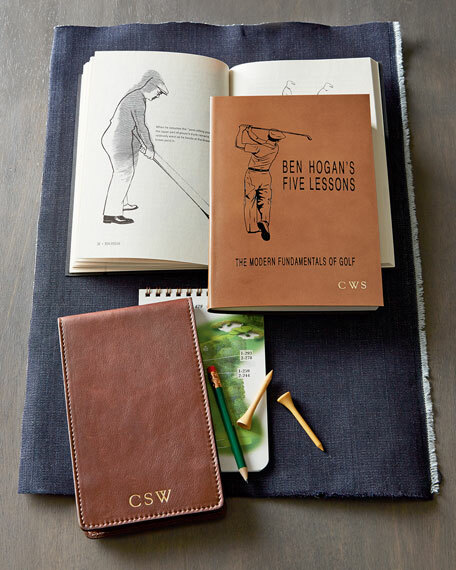 A key addition to your golf bag. Personalization is three initials in gold foil in style shown. Handcrafted magnifying glass. 24-kt. gold gilded crystal quartz and optical glass. Size, shape, and color may vary. Approximately 3"Dia. x 5.5"T. Imported. Guest book of leather-like metallic gold hard cover with Paseo embossing. Hot stamped Paseo pattern end papers with die-cut window. Guest book of leather-like metallic gold hard cover with Paseo embossing. Hot stamped Paseo pattern end papers with die-cut window. Hot stamped title page shows through die-cut end paper. Silver gilded page edges. 10.75"W x 7.75"D x 0.75"T. Paper. Imported. Credenza not included and not available. Handcrafted hutch. 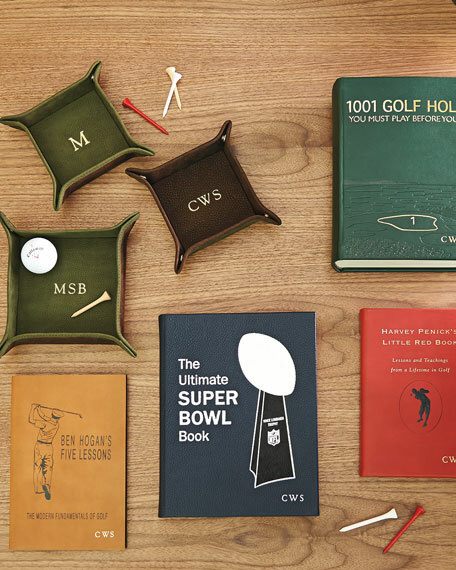 Made of hardwood solids and cherry veneers. Hand-painted black finish and a brown rub-through. Leather insets. Two doors. Charging station, electrical outlets, four adjustable shelves, and three-way light. 76.5"W x 20"D x 58"T. Imported. Boxed weight, approximately 295 lbs. From the Indigo Collection. Made of cast metal. Hand enameled and hand set with Swarovski?? crystals. 18-kt. gold-plated finish. 4.5"W x 2.25"D x 3"T. Handcrafted in the USA.